It got this thin scrappy border early in the week. It’s just 1/2″ finished, and I decided to make each scrap about 3″ long. I wanted to add a little space and structure before adding the next border, which was planned to be a thicker scrappy improv slab. I’ve been taking a lot of inspiration from Elizabeth Hartman’s Aviatrix Medallion as I figure out exactly what this is becoming. I like the idea of varying the width of the borders. Though some of the pieces got veeeery small in the process. Whew! that was about four days of improv sewing, and while it’s very liberating, it’s also very thinky. See? I’ve used a lot of brain cells doing it. My vocabulary is shot. I used a lot of the things that I learned in Victoria Findlay Wolfe‘s class and book. But check out the finished borders. Three inches finished. 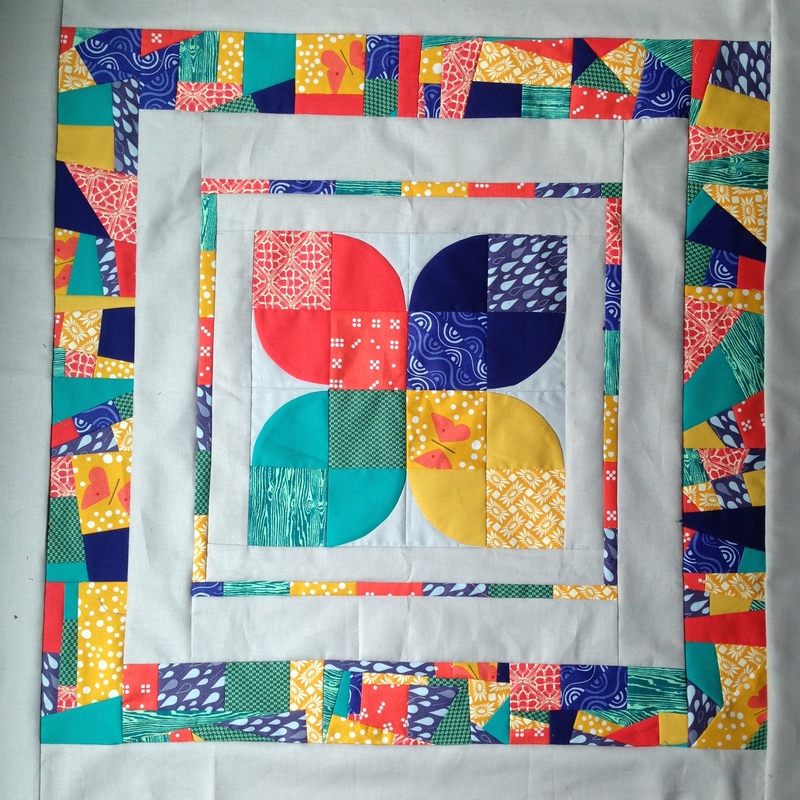 Quilt Camp is just one week away! I can’t wait to see what my students come up with. These techniques are just so much fun. Right now it’s 31″ square. I’m going to stop here for now. 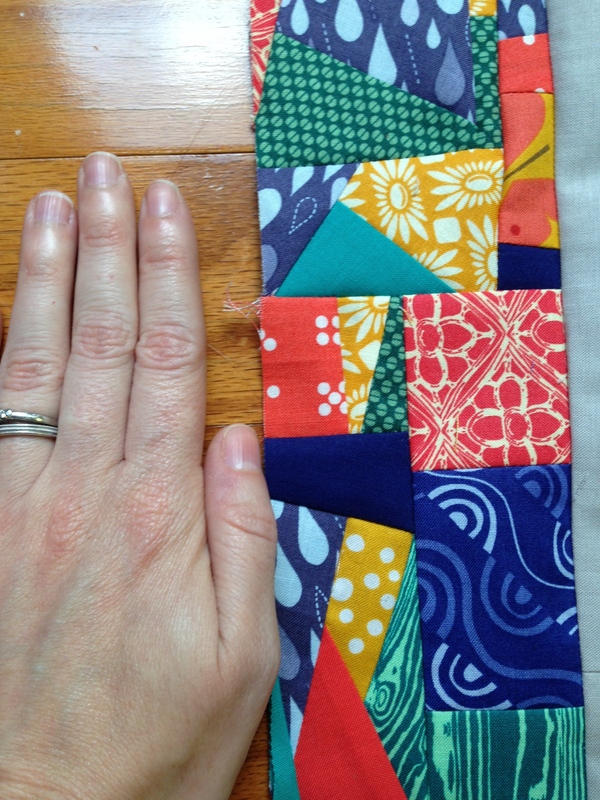 Would you keep it as a mini, make it a baby quilt, or go bigger? 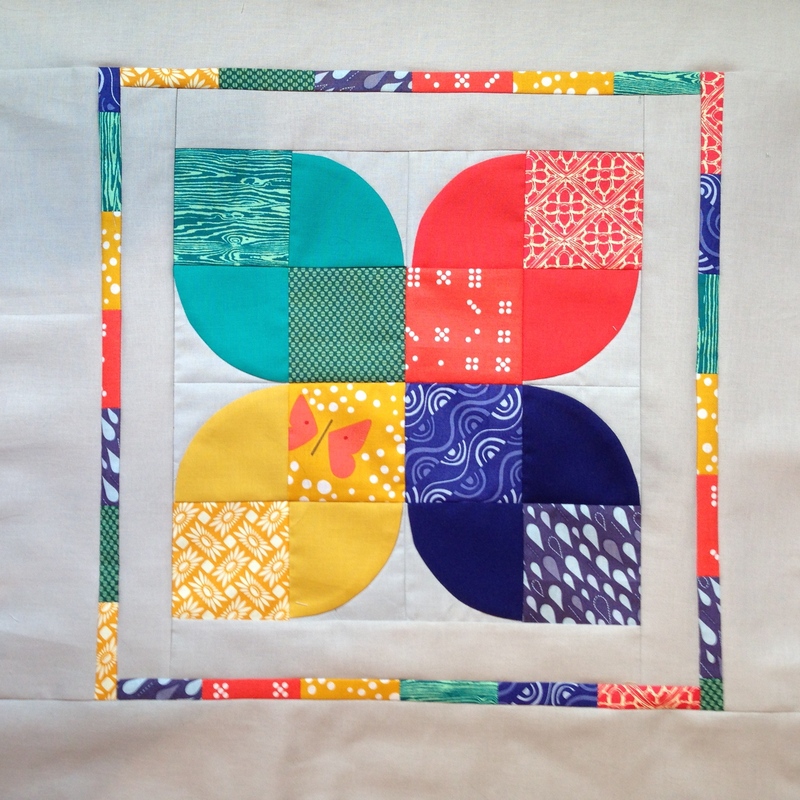 It would make a lovely mini, but those bright colors and little butterflies would be delightful for a baby quilt! 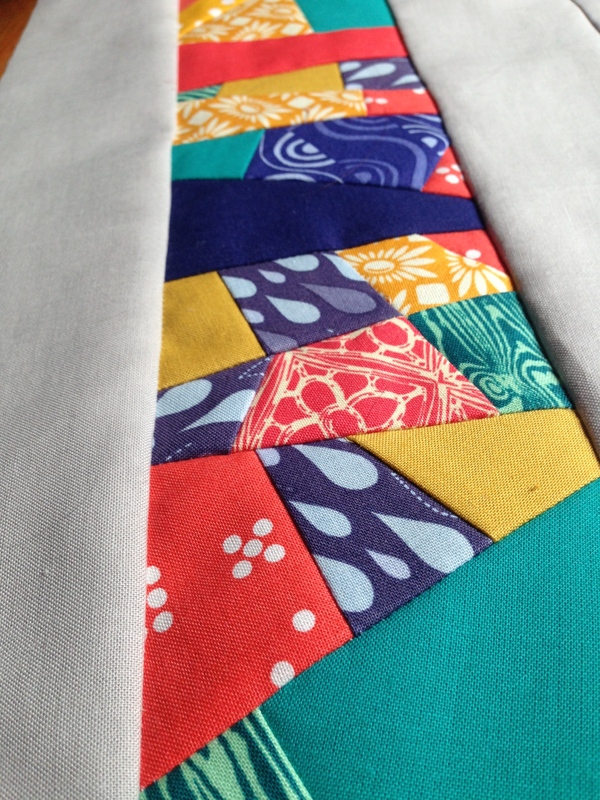 Your Quilt Camp sample looks fantastic! I would keep it as a mini, cute naughty little thing. I also imagine it much bigger, multiplying medallions with their own tin scrappy border and finally enclosing it all by this wonderful second border. Personally I wouldn’t make this a baby quilt: there’s too much going on in this quilt. I’d add three more and make it a square lap quilt. I love it! The colors are so fantastic. Camp is going to be a blast! Oh, and I think it would make a fantastic table topper. With a beautiful vase of flowers in the middle. Great work, though. I’ll look forward to seeing how you finish it.